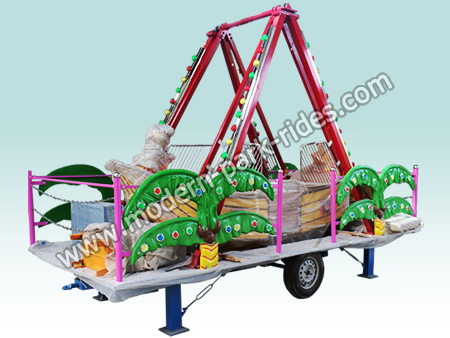 Mini Pirate Ship Ride playground equipment is a kind of swing back and forth around a horizontal axis of the rides. 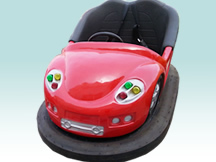 lights ,music,nonfading and durable painting and other advanced electrical accessories. 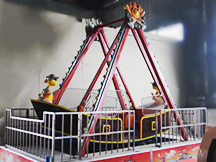 Modern pirate ship ride swings from a slow start to the rapid swing, which makes passengers have feeling of travelling on sea. 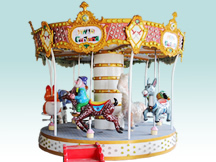 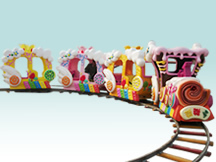 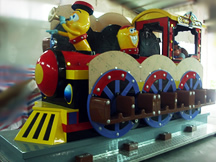 Both decoration parts and seat(Seaters) of Modern pirate ship ride is made of fiberglass reinforced plastics(FRP),which is Non-fading,environmental protection, safety, corrosion resistance, good stability durable painting.